The Carrier brand Galaxy S9 models come with tons of bloatware that you can not usually get rid of without rooting. With a bit of Digital Elbow fat, however, there is a way to disable bloatware on your S9 or S9 +, and it's much safer to root and modify your valuable device. Package Disabler are a great way to disable useless bloatware and free of RAM on your smartphone. Unfortunately, they can be a little dangerous, as carelessly disabling the wrong package can cause your S9 to malfunction or even freeze completely. Fortunately, thanks to XDA user BAYmustafa96, there is a safe and painless way to disable over 120 bloatware apps and packages. First, you must automatically download an XML file to disable Bloatware apps using Package Disabler Pro + for Samsung. The file was originally created by BAYmustafa96, which eliminates the need to disable unwanted apps, though we've redesigned them to clean things up a bit and make them even more secure. So tap the following link from your Galaxy S9 or S9 +. 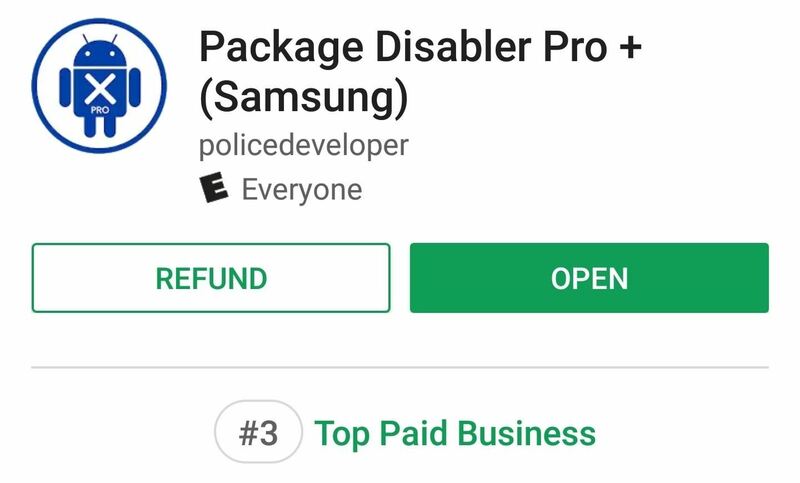 Now it's time to download Package Disabler Pro + (Samsung) . To install it, you can either go to the Play Store and do a search, or simply tap the link below to purchase the app. Now open Package Disabler Pro +, then tap the three-dot menu in the right top corner of the screen and select "Import from XML"
The XML file now fills in the original "import from file" prompt , so tap the "Import" button. This automatically disables 122 bloatware apps for you and ends with a security prompt. Tap the "OK" button at the bottom of the prompt to return to the main page of the app. Scroll down and check if bloatware has been checked and disabled. Please note that this process is automated , Therefore, carefully check the frequently used apps – such as Bixby, Adapt Sound, and Photo Editor – that could be disabled. If so, just open the Package Disabler Pro + app, scroll through the list and find the app you miss, then just tap the box next to it and turn it back on. Did this happen to your S9 or S9 + noticeably frills? Let us know in the comment section.